Take a unique modern approach to promotion and presentation. 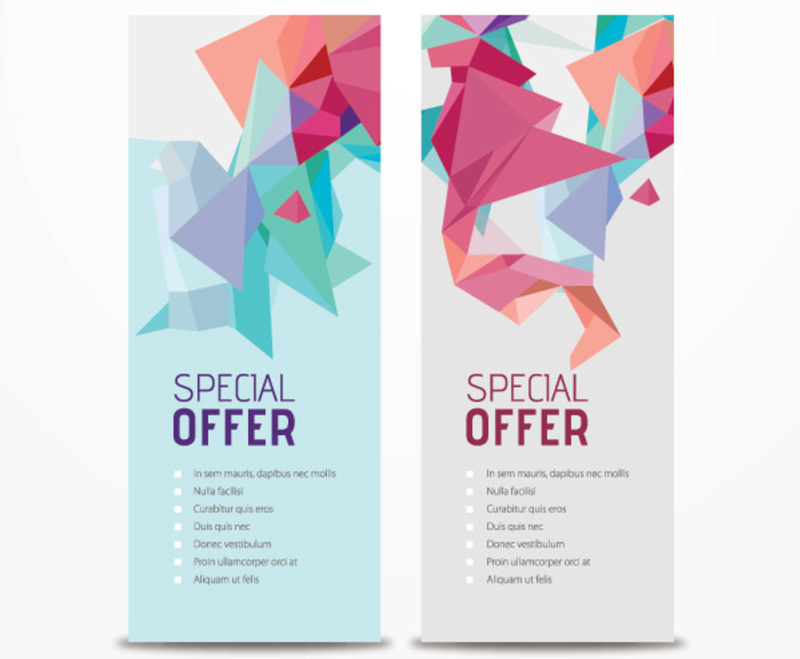 Each of these banners use a powerful angular shape, which gradually comes to a point above the “special offer” text at the bottom of the frame. The simple text fields are perfectly balanced with the rest of the graphic. The jagged shapes are filled with bold and muted colors, which create a sort of crystalline effect. Shading provides a sense of depth, and both of the shapes refrain from using any hard black lines; this adds to the abstract appeal. These banners are creatively designed to capture and hold your audience's attention.